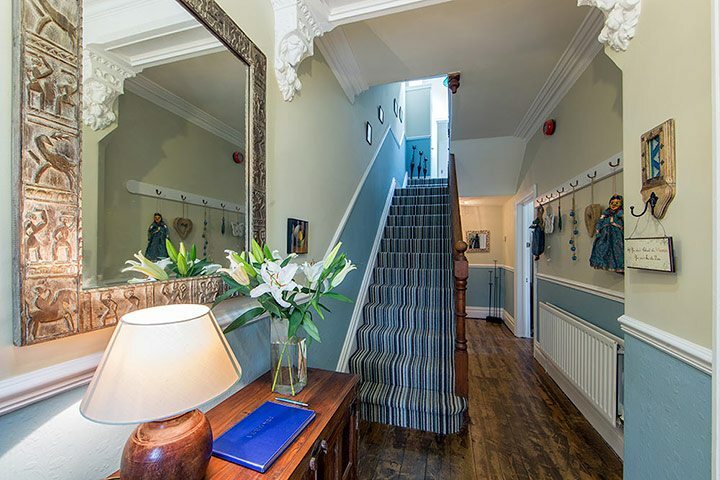 New owners, Jenny and Nikos, welcome you to the recently refurbished Woodside Bed & Breakfast guest house in Keswick. 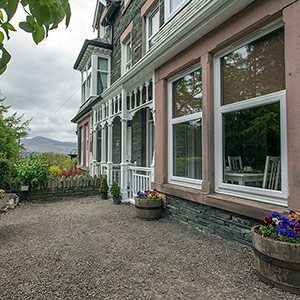 The house is in a superb location either for wandering into Keswick alongside the River Greta or along the old railway line. 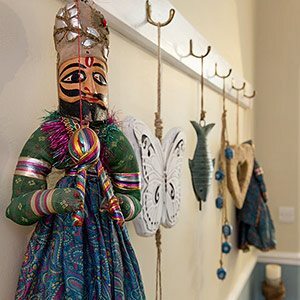 This lovely Victorian guest house has been recently transformed into a welcoming, stylish and slightly quirky home away from home. 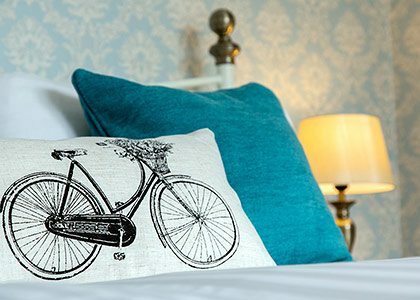 Spread over three floors there are five spacious and comfortable en-suite rooms with flat screen TV, free WiFi and tea/coffee making facilities. For those looking for a Keswick B&B with parking to park the car away during their stay, the free private car park offers a perfect solution. Cycles can be stored securely as well. A facility that most of the B&Bs and guest houses in Keswick do not have! 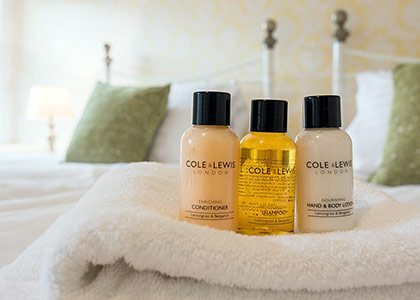 Should guests get caught out in Cumbria’s famous rain, there are drying facilities available upon request. An iron and ironing board are also available should you require. The large garden is available for use by guests who might wish to soak up some rays in the sun trap or to just sit and relax with a well deserved drink at the end of the day.